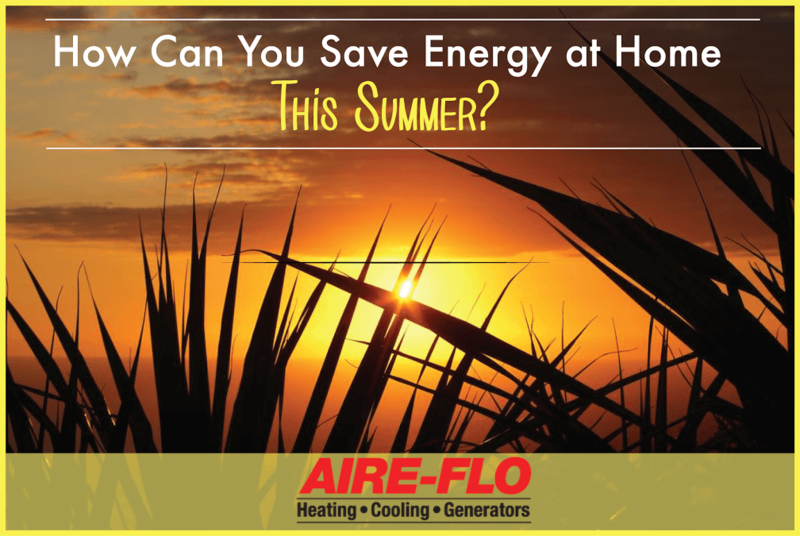 HOW CAN YOU SAVE ENERGY AT HOME THIS SUMMER? Summertime is here in Columbus, Ohio and that means the temperatures outside are quickly rising! And, with rising temperatures often comes rising home energy bills. Luckily for you, we’ve gathered together a few easy tactics that can help you save energy at home this summer, thereby keeping your energy costs in check. Here we’ve listed a few simple strategies that will help you keep your home cool when the weather is hot—all while saving on energy expenses. Even though it may be tempting during the hottest days of summer, it’s best to avoid lowering your thermostat to a cooler setting than you normally would. Doing this won’t actually cool your home any faster, but it most likely will result in excessive energy costs. In fact, it’s good practice to set your thermostat as high as you can while still maintaining comfort. For every degree you adjust your thermostat, you could save approximately 3% on energy costs. When you’re away from home, such as during the workday, set your thermostat to a higher temperature so that you won’t be cooling your home unnecessarily. Somewhere around 75ºF is good to save energy and prevent your house from overheating. Once you return, flip the A/C back on and enjoy the cool indoor air. Take advantage of those cool summer evenings in Columbus, and instead of relying 100% on your A/C, turn off your cooling unit, open a few windows at night, and embrace the fresh air. This will not only help lower your home’s energy costs, but it will also improve your home’s ventilation, which will help you maintain better indoor air quality during the summer season. Both ceiling fans and portable fans use less energy than constantly running your air conditioning unit. In fact, by turning on your ceiling fans, you can raise your thermostat setting approximately 3 to 4 degrees with absolutely zero effect on comfort. Adding a few box or stand fans around your home can also keep the air moving and temperatures down without the hefty expense of running your A/C full time. For the times when you are running your home’s cooling system, you’ll want to make sure that your air conditioner is not only functioning, but doing so optimally and efficiently. The best way to make sure your air conditioner is running at its best is to have a maintenance check performed. By having an expert technician check over your HVAC system, you’ll rest assured that your system is operating as it should and not wasting any energy while running. Maintenance checks also prevent HVAC emergencies, which are all too common during the summer months. If you’re in need of a check-up for your system, schedule an appointment with us today. Our expert technicians at Aire-Flo have been proudly serving the Columbus area since 1951, so we understand how to keep your home comfortable during the summertime in Ohio. Trust us with all your home comfort needs; from simple A/C repairs to installing a new energy efficient HVAC system, we’ve got you (and your home) covered.